Living in Brisbane enjoying food, wine, art, health and life! Remember the days when food options at tourist type destinations usually consisted of kiosks where you could get sandwiches, pies, ice creams, cold drinks and, if you were really lucky, something that came close to resembling coffee? Then, all of a sudden, these places decided that they simply weren't making enough money charging $12 for a ham sandwich. They needed to diversify and become more upmarket. 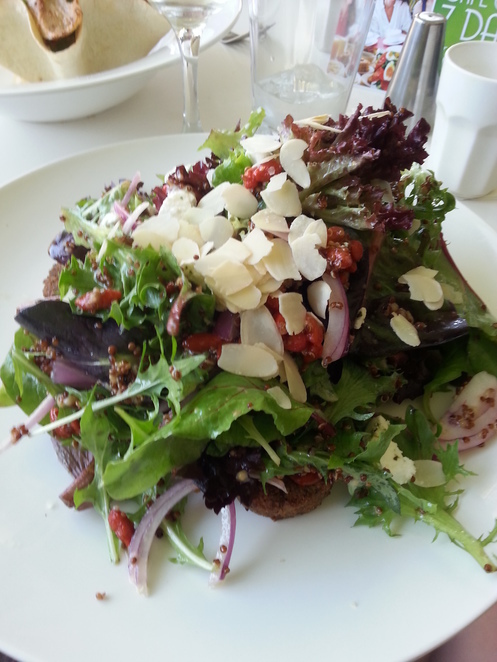 It is from this that establishments such as the Botanical Cafe at Mt-Cootha have evolved. The Mount Coot-Tha Botanic Gardens are a lovely setting, so I can easily see how it would be all too easy to capitilise on the outlook. 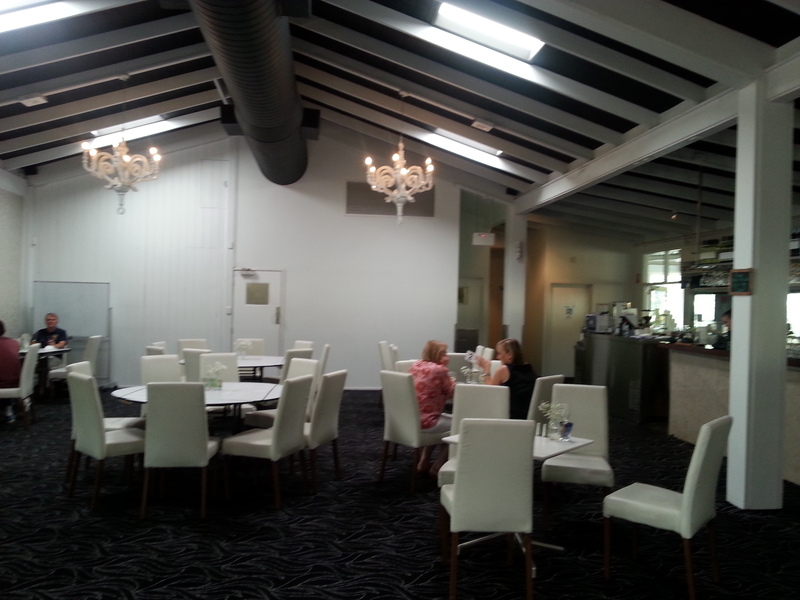 From a functions perspective I can also see how it would be an absolutely stunning venue. I always find many tourism based cafes somehow just fail to hit the mark. With Botanical it wasn't the price that was scary. This is a nice variation from this genre of restaurants, take one look at the price list on GOMA's menu and your eyes will just about pop out of your head! I was also pleasantly surprised by the service provided by the staff. Sometimes dealing with the tourist public seems to breed a specific type of jadedness in hospitality workers but they were all quite friendly at Botanical. I think it's just the fact that, like so many of these kiosk/cafe conversions they are not quite sure what they are trying to be. It's almost as though the owners seem to believe that by putting some quinoa on the menu they have instantaneously become a trendy cafe. At the same time however, by virtue of their location, they still have to behave like a tourist venue and provide the pre-packaged sandwiches and ice creams and the children's activities to match. Don't get me wrong, if you're going to the gardens and you can't be bothered packing a picnic lunch, the food really isn't bad. 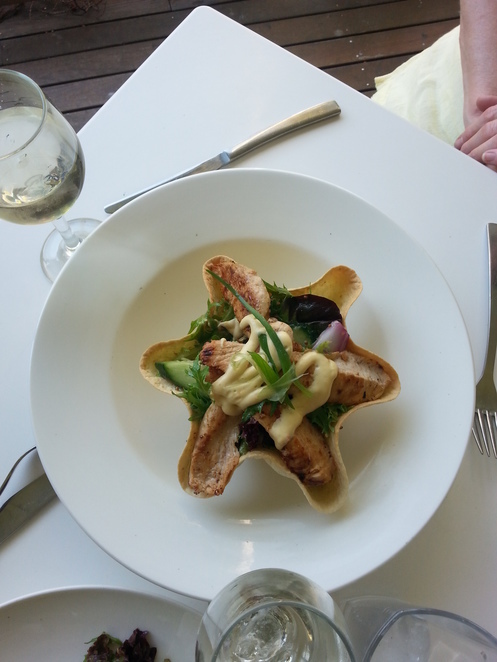 Mum seemed more than happy with her Peri Peri Marinated chicken salad served in its crispy tortilla bowl. I chose the Quinoa Falafel Salad. Definite emphasis on the salad part here. There was so little quinoa that I confused it for wholegrain mustard initially and the poor dried out little falafel patties were also very scarce on the plate. 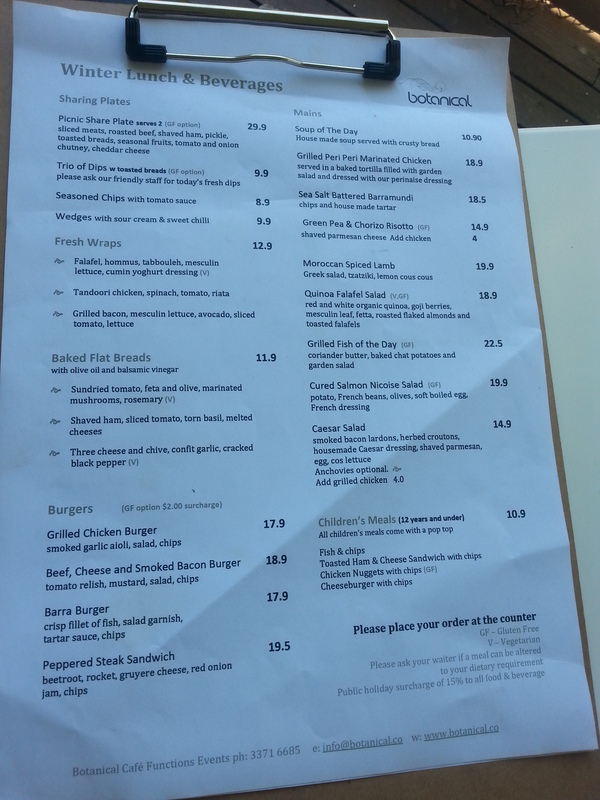 So the food is well presented and not bad eating, the pricing is not too scary, the staff are friendly and the location is nice but there is just something missing at Botanical. They haven't really quite decided what kind of restaurant they want to be and the overall effect means that the ambience just isn't there. I'm not too sure how long this iteration of the Botanic Garden's cafe has been in existence so I'm going to hope, for their sake, that they might be going through some teething problems. From my point of view though Botanical is just simply not a cafe I'd be rushing back for anytime soon. 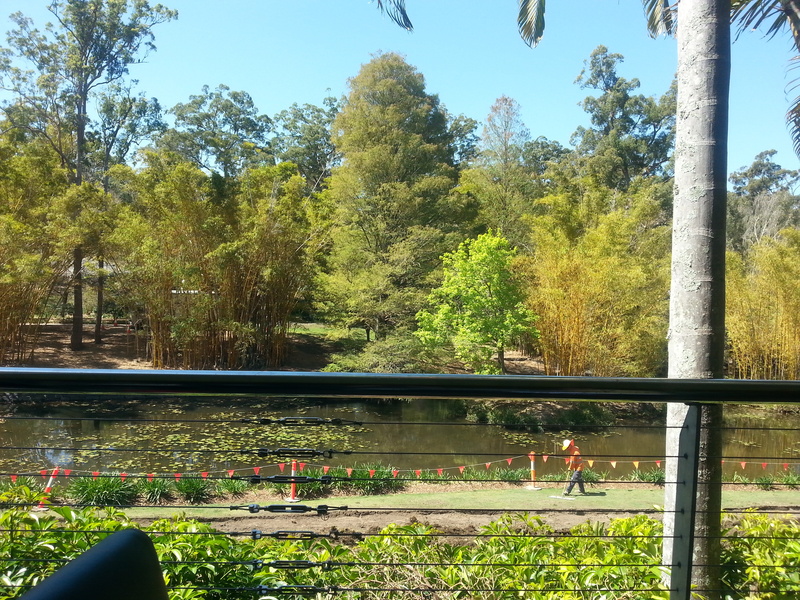 I found that the food was Ok, However, as it is the botanic gardens, I would prefer to hear the birds and not loud piped music. TBH I've never ordered any meals at the cafe only coffee. Prices I found a bit high too. Last time I checked they have buffet breakfasts on weekends. I agree it's a lovely spot to take the kids.